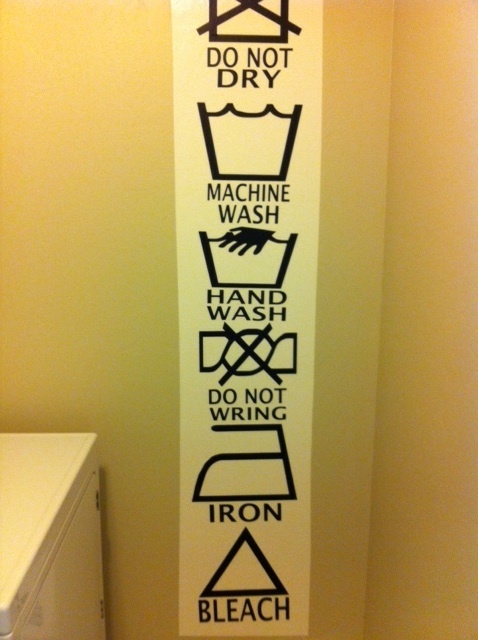 A few weeks ago I entered my VINYL LAUNDRY SYMBOLS in a service auction for my church. My cute Neighbor won them. She painted a vertical stripe on her wall then stuck the symbols in the stripe. Way awesome! Go HERE to see my original post. 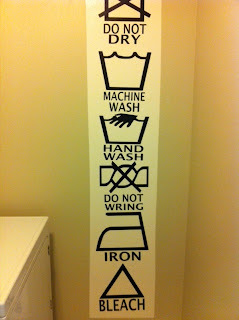 Go HERE to purchase your own LAUNDRY ROOM SYMBOLS. Both look great...love that washer and dryer!